AIEA invites institutional members to submit a proposal to host an AIEA Thematic Forum at or near their institution’s campus. To increase the opportunities for AIEA members and other professionals from related fields to gather in organized venues to discuss and learn more about salient leadership issues in International Higher Education. The topic and size (number of participants) of the forum are open. The target audience of Thematic Forums are SIOs and university leaders. Thematic Forum funding is available for AIEA member institutions (higher education institutions) regardless of location, and members from outside the U.S. are also encouraged to apply. 1-2 days between the months of September and May. The Thematic Forum should not take place during the AIEA Conference or Academy. Up to $4000 of the award will be distributed prior to the Forum, and $1000 of the award will be distributed after the final report has been received by AIEA. Funds may not be used to pay for salaries at host institution(s). Unused funds must be returned to AIEA. In the event that the Forum is cancelled all AIEA funds must be returned to AIEA. The host institution(s) are encouraged to charge a nominal registration fee within the $50 range to cover additional costs of the meeting, but a fee greater than $100 would require significant justification in the application. Note: the Forum should not be a money-making opportunity for the institution. The expectation is that AIEA funding would help make it possible to hold such an event and cover costs only. Forum costs should be reasonable. Note: AIEA does not handle forum registrations or payment processing. Host institutions are responsible for setting up a registration system and processing payments. AIEA will grant up to four awards per academic year. Preference will be given to host institutions in different sections/regions of the United States. 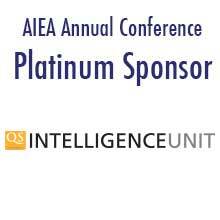 AIEA also welcomes thematic forum applications from institutions outside the United States. Well-attended Thematic Forums are often held in conjunction with or immediately preceding or following a local International Education event. Thematic Forum hosts are encouraged to join with other local HEIs in the planning of forums (including community colleges). 3-5 page proposal explaining the topic/issue of the proposed workshop and its importance to international educators. The proposal should include an outline and format of the workshop, names and titles of facilitator or speaker(s), length of workshop, intended outcomes/takeaways for attendees, proposed date, proposed marketing plan to SIOs in region and knowledge capture and dissemination plans. It should also describe how the forum addresses strategic-level issues pertaining to SIOs or other senior leaders advancing internationalization at their institutions, as well as how organizers will recruit senior leaders in international education to attend. Please also include the selection process of participants and maximum number of participants.